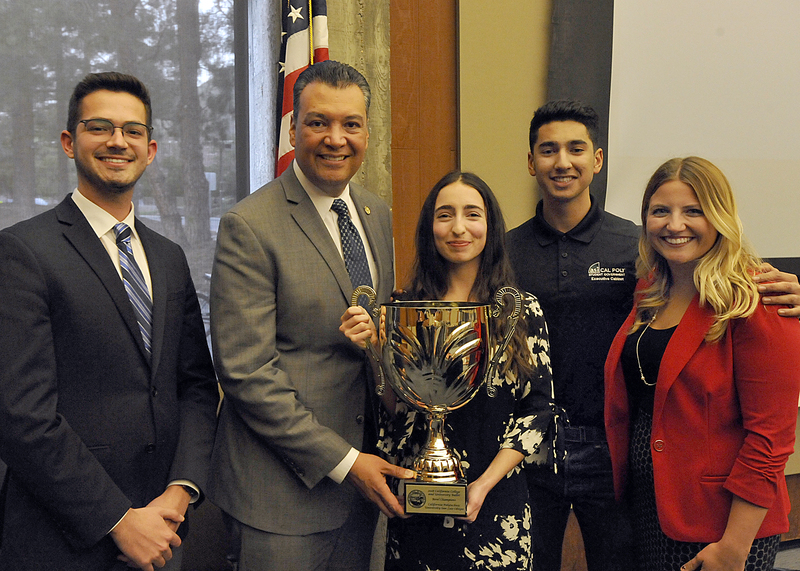 Congratulations to California Polytechnic University, San Luis Obispo for winning our Inaugural California University and College Ballot Bowl leading up to the 2018 General Election! We applaud their efforts to register 3,178 students and wish them luck as they strive to maintain their championship status during the 2020 University and College Ballot Bowl. Three awards were given to the CCC, CSU, UC, and AICCU systems, for a total of twelve awards. In the spirit of camaraderie, each campus won only one prize. The Secretary of State presented a resolution to the administration of the winning campuses acknowledging their support and efforts in the competition. *In the spirit of camaraderie, each school could only win one prize. The asterisked schools finished second to a school that won in a separate category. To select the winners of campuses with the most creative approach to registering students, the Secretary of State’s office reviewed voter outreach plans submitted to our office as well as campus social media and webpages.